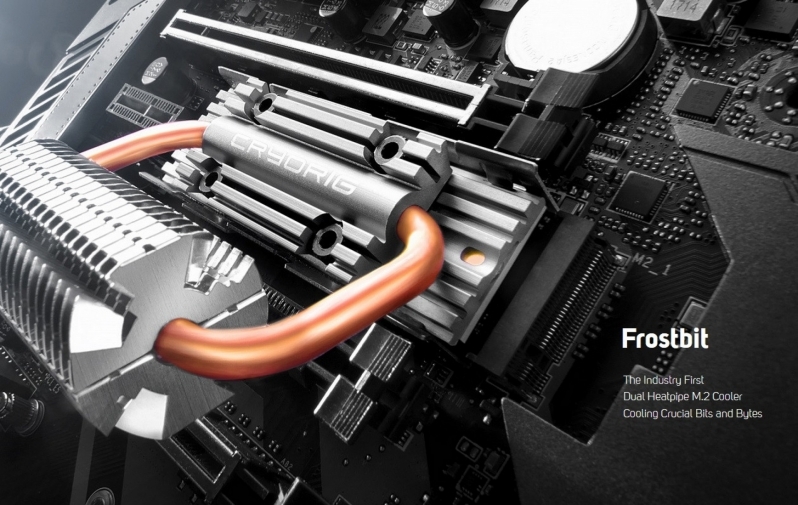 CRYORIG has revealed their overkill Frostbit M.2 heatsink. An M.2 cooler with heatpipes and a fin array? Read more about CRYORIG's insane Frostbit M.2 heatsink. Overkill, but useful overkill since it will help remove thermal throttling even more. I know that this is completely overkill and unnecessary. However for some reason I really like it. Or you could just stop caring about perfect aesthetics on your PC case and get a case that has a side panel intake fan. Or mod an existing case to support one. Functionality > aesthetics. I think its the copper powder coated looking finish that I like most of all. I think we are at an era where functionality and aesthetics are the key to a good machine. Although if the world took functionality over looks, then it would be a blessing not to see stupid RGB ! Of course without RGB I couldn't have my Strix 1070 change colors with my music or in-game damage. Not that RGB is 100% necessary for that either, however it is nice to have a CHOICE to change colors to whatever I want, rather then the old "you are stuck with blue / red / white" that past years were all about. Some designs for RGB are really tacky though....looking at you coolermaster air coolers of recent. They are hideous to look at imo. Looks like something that Thermalright made BITD for RAM and NBs. I like the copper and the shape of the fins. Very "biker gang" sorta thing. I question its compatibility though, especially with big GPUs. I suppose it's best for WC rigs where the M.2 and etc don't get any air.